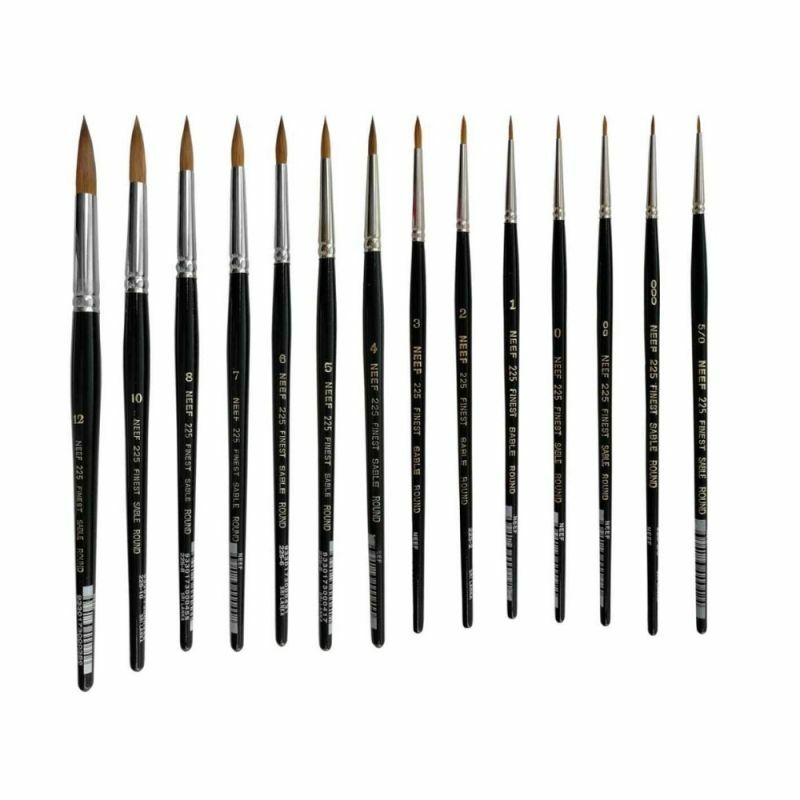 Neef Sable 225 Round Brushes are a short handle watercolour brush range made using male red sable hair. Each brush features pronounced bellies that react well and provide incredible control. Each brush is fashioned with nickel plated seamless ferrules attached to a black handle. Neef Sable 225 Brushes boast exceptional spring, With a large reservoir (belly) which holds plenty of paint, releasing it on to the painting surface slowly for long clean strokes. Longer tapered hair length results in faster action at the tip and the tightest snap.